Here at Toughbook, we understand the ever-increasing daily demands your logistics operation faces. More efficient delivery of increased volumes, at a lower price. As fast as possible, with the highest levels of customer communication and personalised service. To maintain a competitive advantage, logistics businesses need to run the leanest operations, with as little costly downtime as possible. All the while maintaining speed and accuracy. Now, that’s quite a challenge. As a result of poorly designed mobile scanning devices, over half of users are suffering from Repetitive Strain Injury (RSI). Meaning decreased efficiency, lost days of work, and costs that can run into serious digits per employee. But it doesn’t have to be all pain no gain. 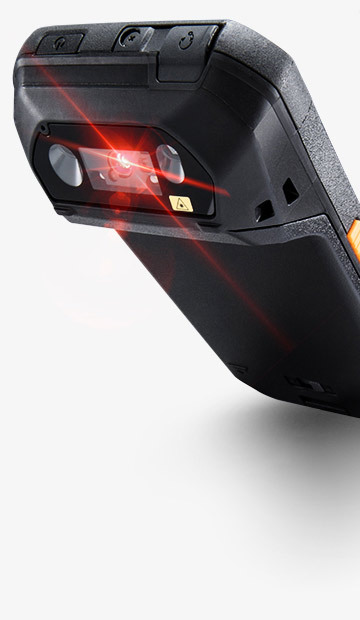 Our Toughpad FZ-F1 and FZ-N1 handheld scanners for example, feature unique angled barcode readers, engineered to eliminate the need for tilting. Meaning no more bending of elbows or wrists, and no more muscle strain and fatigue. Thinner, lighter and more durable than traditional handhelds, with a whole host of cutting-edge features to boot – including ‘see what you scan’ on screen – you can look forward to easier, speedier and more precise scanning than ever before. Innovative features such as an angled barcode reader and precision pen could improve scanning productivity by up to 12%. It’s a revolution in scanning health and productivity.